Our prize goes in Argentina! Of course we have a winner for this week’s contest in the Official CircleMe Profile Chart. He’s Dari Oh , from Argentina. Congratulations! We have already selected the next week’s participants ,so pay attention, maybe you are one of them. Remember that now you can promote yourself and share your awesome CircleMe profile to everyone, thanks to the newest adopted feature. 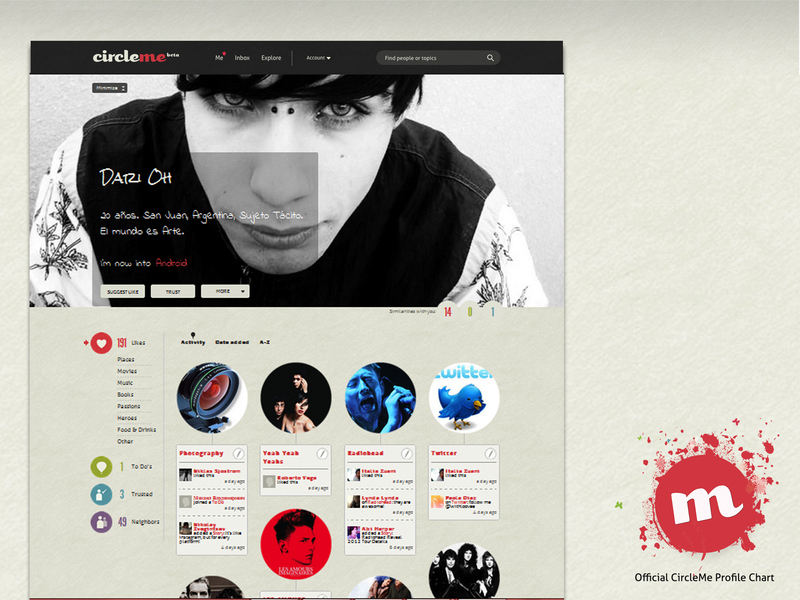 ← Share your CircleMe profile with the world!